In this tutorial we will teach you two methods to reset Android and give new life to your Motorola Atrix HD MB886 in just a few minutes. The first step is common to both methods. Please check and make sure that the battery of your cellphone is fully charged, to avoid any unwanted surprises. Now that you are sure that your battery is fully charged, you need to decide which method that we will explain in detail applies better to Motorola Atrix HD MB886. If you have access to your cellphones operative system (OS) and just want to give your phone a fresh start, you will choose the first method. If, on the other hand, you can’t access the OS of your phone, for example, if you forgot your lock pattern, you will have to use the second method. To reset Android on your Motorola Atrix HD MB886, you have to go Settings, and then choose the option Privacy and then Factory Data Reset. Next click on Reset phone. Please bear in mind that executing this method will erase all personalization you have made on your phone. Since you have access to the OS of your Motorola, doing a backup before going through with reseting Android is always a good idea. Press the Volume Up button, and without letting go press the power button. 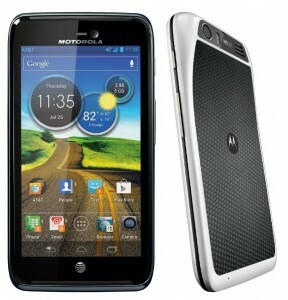 When you see the Motorola logo on the screen, let go of the power button and wait a few seconds. You will see the Android robot on the screen with an exclamation mark beside it. When you do, let go of the Volume Up button. Press both volume buttons at the same time to display the options. When these show up, let go of the buttons. Using the Volume buttons move in the menu to the option “Wipe data /factory data reset“, and then select the option “Yes – delete all user data” using the power button. The process will return to the main menu, where you have to select Reboot System Now. The Motorola Atrix HD MB886 will now reboot and when it comes back, it will be as out of the box, having returned to its factory settings. If you had any issues doing a reset Android on your Motorola Atrix HD MB886, please let us know in the comments. 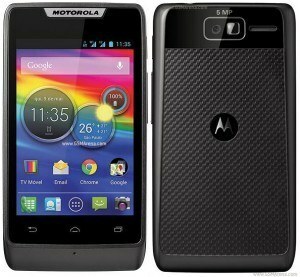 In this tutorial we will show you two ways to reset Android on the Motorola Moto G Dual SIM. Which procedure you use will depend on the current state of your device. If you have access to the Applications Menu of your Motorola Moto G Dual SIM, you can use the first method. You would use this method if your device works ok, but you noticed that it’s lagging, or you simply want to give it a fresh start, returning it to it’s factory settings. 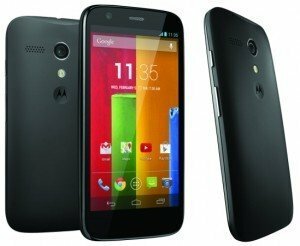 You will use the second method if your Motorola Moto G Dual SIM has stopped responding, or you have lost or forgotten the lock pattern you previously set. Remember that when you reset Android you loose all your personal data, including contacts, messages, and any applications you may have installed, so, if possible, do a backup of all your data before starting with any of the procedures. Also make sure the battery of your Motorola Moto G Dual SIM is charged to at least 80%, to avoid any unwanted shut-downs mid-process. In a few minutes your Motorola Moto G Dual SIM will restart, as good as out of the box. Reset Android on Motorola Moto G Dual SIM using hardware buttons. This method to reset Android will be used if you have lost access to the Motorola Moto G Dual SIM’s OS, for whatever reason, for example if you forgot the Lock Pattern. Let go of all buttons and a menu will show. Using the Volume Down button, navigate to the option Recovery, and press the Volume Up button to confirm the option. You will see the Android logo, and at this time hold the Volume Up button a few seconds, and without letting go of the Volume Up button, click and let go of the Power button. navigate to the Wipe data/Factory reset option, and press the Power button to select this option. Tap on Yes – delete all user data, if that’s what you want to do, and confirm using the power button. You’re done! You should now have reset Android and your Motorola Moto G Dual SIM should be back to it’s factory settings, ready for new settings.